More than 200 guests came together the other night at the historic Telegraph building on Tverskaya Street in downtown Moscow to celebrate the 20th anniversary of the International Fund for Animal Welfare's Russia office. 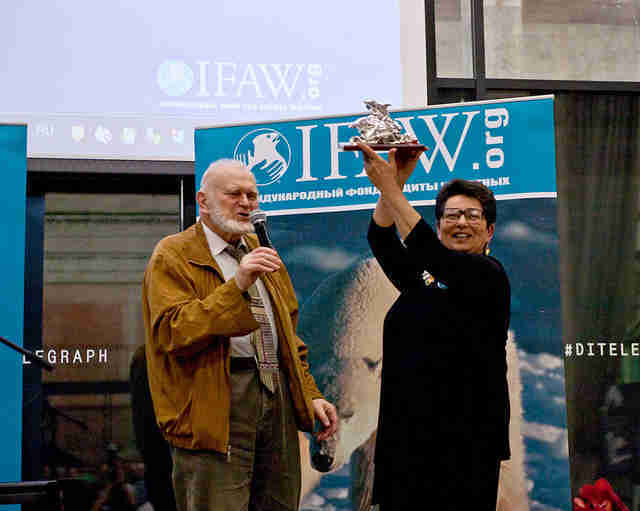 The distinguished guests included Ministry of Environment officials, diplomats, scientists, animal protection activists, IFAW grantees, philanthropists, natural history photographers and filmmakers, celebrities, and Russian and international journalists. The event, moderated by renowned journalist and music critic Artemi Troitskiy, included a musical performance by Vasia Oblomov and the launch of a Russian translation of "Secret of the White Whale," written by Margaret Strejbosch, illustrated by Charles Michels. 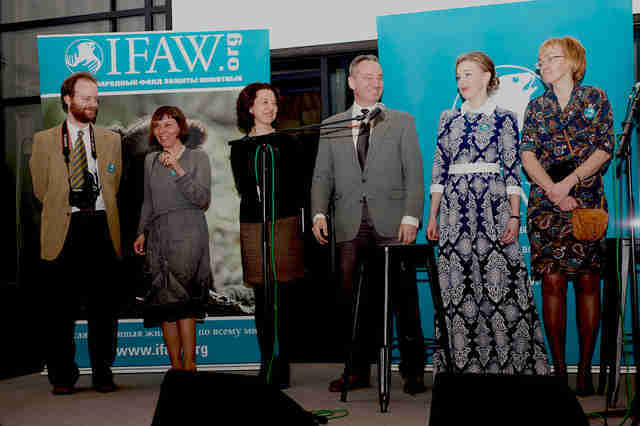 We also premiered an 18-minute documentary summarizing the history and achievements of IFAW Russia in the last 20 years. Looking back at our work there, I am so proud of the accomplishments one country office has made not only regionally but globally for animal welfare. Led efforts to ban the Northern Sea seal hunt, and pressured the government to ban all seal product imports. Campaign work resulted in increased penalties on Illegal wildlife trade (2014), including internet trade (2015), which ultimately changed Russia's criminal code. Fourteen CIS and former Soviet Union countries to date have received IFAW training of the customs staff to prevent illegal trade. To protect wild rare animals and their habitats, since 1997, IFAW supports anti-poaching brigades in the Russian Far East (Amur tigers, Amur leopards) and in the European Russia (Saiga antelope). Achieved a historic victory in 2007 when Shell redirected its pipeline at Sakhalin to protect the Western Grey Whales feeding grounds. Continue to conduct research in beluga whale habitats. 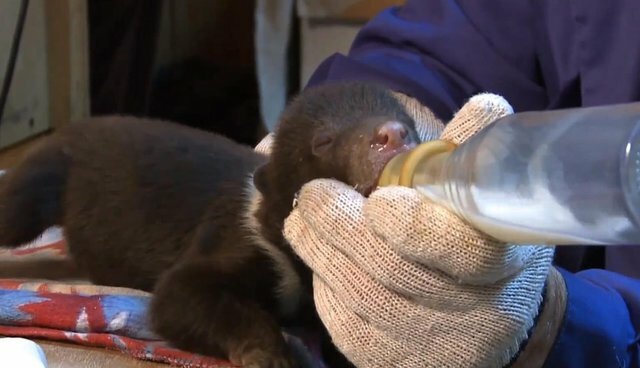 Saved, rehabilitated and released more than 200 orphaned bear cubs and lobbying efforts resulted in the winter den bear hunt ban in 2012. Since 2000, IFAW rehabilitates and releases rare falcons and tortoises confiscated from smugglers. Rehabilitation and release of six orphaned Amur tigers. Due to IFAW's stray dogs spay/neuter project, legislation was enacted that made Moscow a 'no-kill' city in 2002. I was very glad to see that the Ministry of Natural Resources and Environment posted on their website greetings to IFAW with regards to this historic milestone. I thank the Russia office for their diligence and unwavering vision to make Russia a better place for animals and people in the past two decades.